The more competitive runners led the pack, while the recreational participants leisurely followed behind. Top: Matt Thomson (#107), 38, center, of Gig Harbor, won all age groups with a time of 21:28. James Noble (#113),10, right, of Gig Harbor, at the starting line. Noble finished 34th overall with a time of 34:55. This was a family affair and a chance to spend a Saturday morning at the picturesque 360 Trails Park. 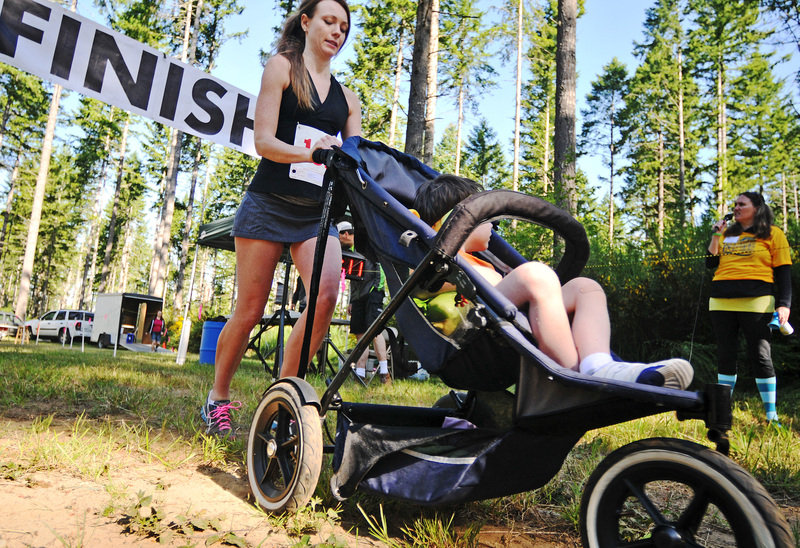 The second Summer Fun Run and Kids Dash at 360 Trails Park on the Key Peninsula Saturday offered something for just about everyone. More than a hundred runners, children and Key Pen Parks volunteers gathered on a dusty clearing in what used to be Washington Department of Natural Resources land. It was a perfect day for a run: The sun was shining brightly and no trace of rain was in the forecast. Tents put up by race sponsors offered food and drink. There was even a tub full of soap suds next to the Costco tent for the children to blow bubbles. Games of catch with Stick-Ums Velcro balls and mitts were breaking out all over the clearing. Two big speakers by the starting line pumped out dance music, giving the event a festival atmosphere. 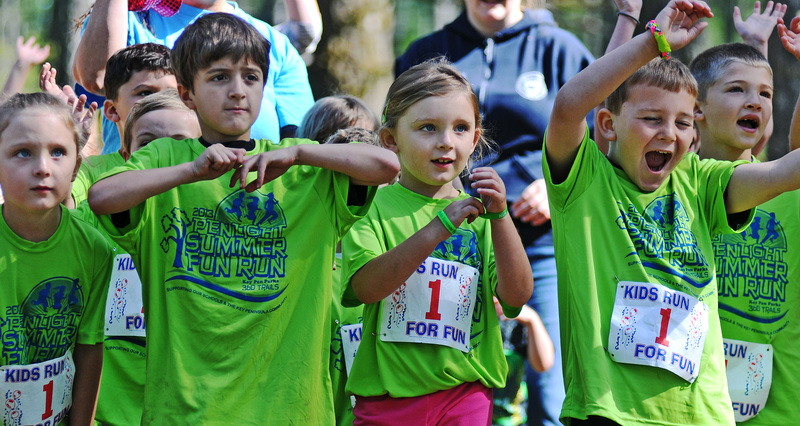 The youngsters had their event as well — the Kids Dash. 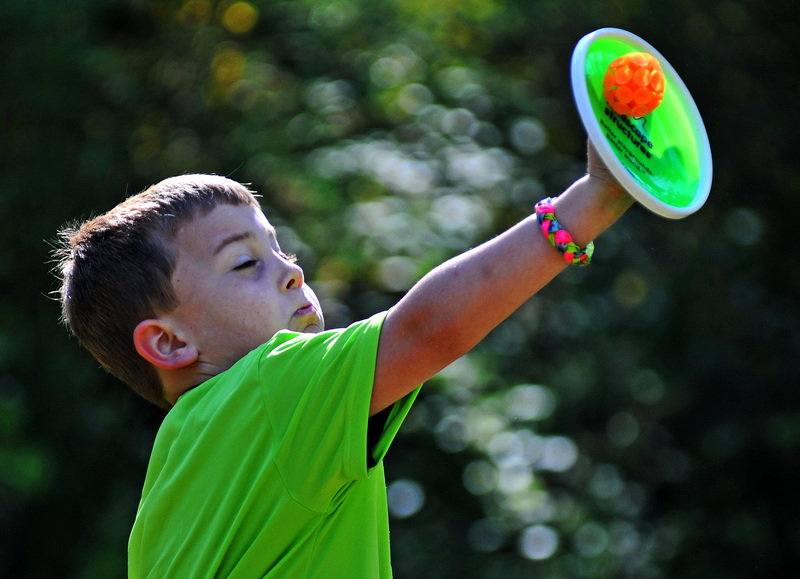 Chase Didway, 7, played catch with a friend while waiting for the Kids Dash event. This was going to be fun and Key Pen Parks Recreational Coordinator Jess Smeall was making sure it was for good reasons. 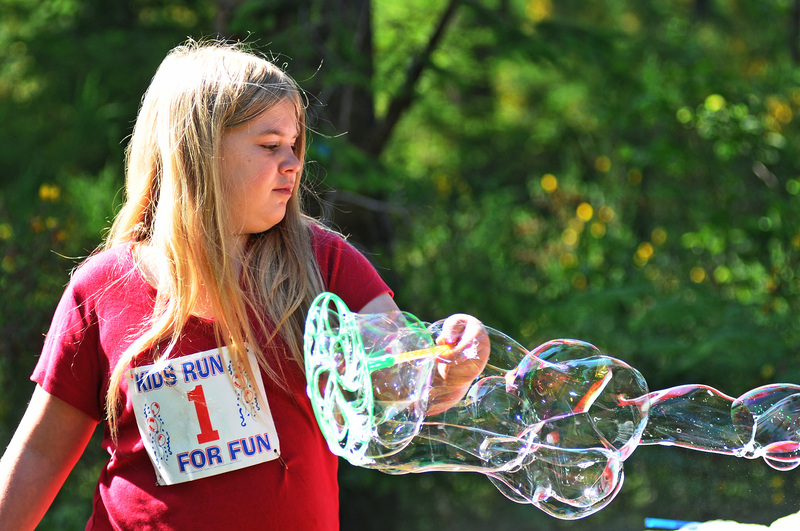 Alice Curry, 12, from the Burley Christian School, enjoyed making bubbles by the tub of soap suds. 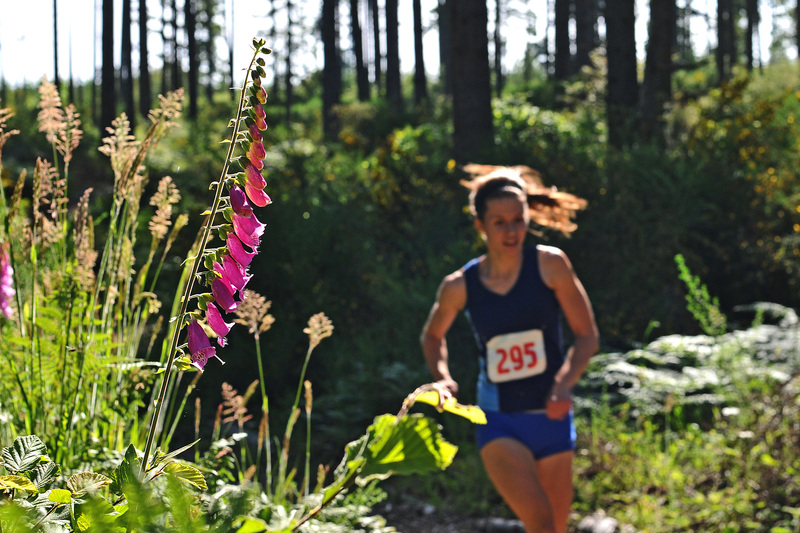 The park, 360 Trails, is nestled in wooded hills just off State Route 302, a few miles south of the Purdy Sand Spit. The 360-acre park ( “That is what its named for,” Smeall said with a laugh.) is a network of dirt trails that used to be managed by the DNR. Signs for timber sales can still be seen around the park. 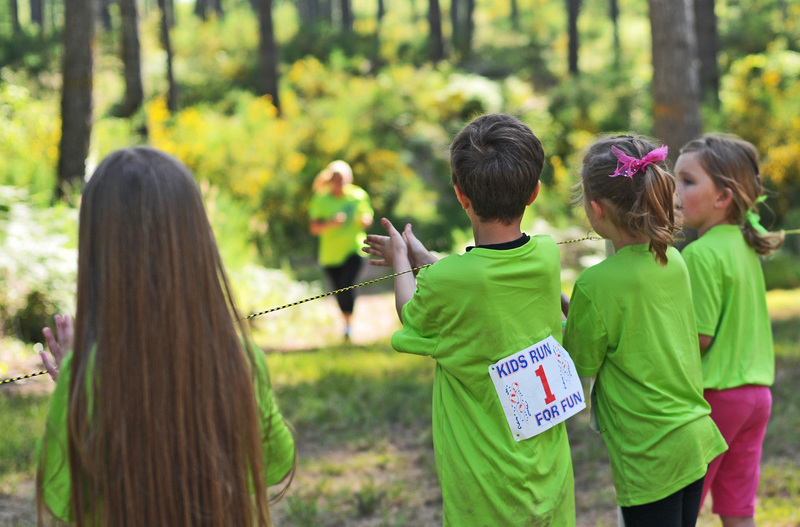 The children cheered on their parents as they came down the finish line. Or, know that it even existed, as Troy Milles, of Tacoma, said, while he warmed up for the run. Milles said he used to live on a small farm south of the Key Center. He still comes around, coordinating “Skate Night” at the Key Peninsula Civic Center. “I’m definitely coming back (to the park),” he added, giving the park his personal endorsement. 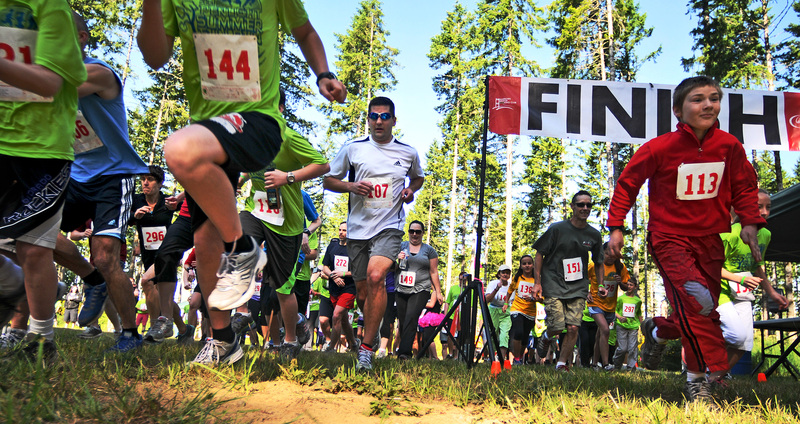 And with the hoot of a horn, dozens of runners and walkers — young and old — took off for the trails. The more serious competitors led the pack while the recreational participants leisurely followed behind. But this was not all fun and games. The 360 Trails Park was a beautiful backdrop to Kelly Egge’s determination to come back from a horrific accident and fulfill her college dream. Egge finished strong, first among the women and second overall. 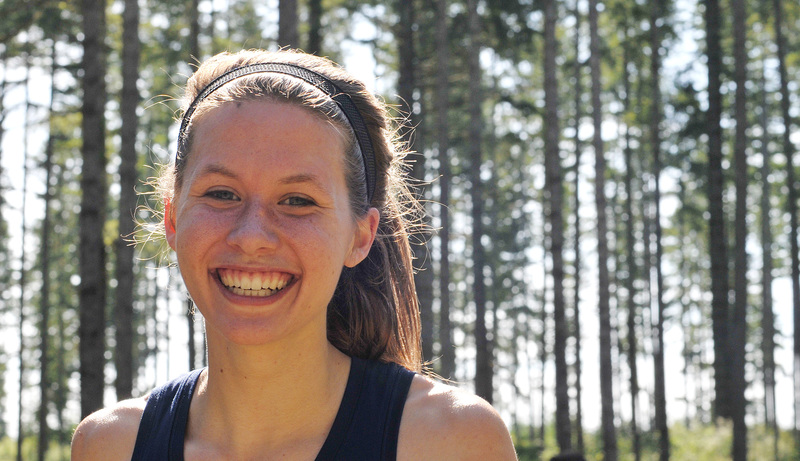 Kelly Egge, 19, of the Key Peninsula, was running to win. Egge ran a strong race — finishing first among the women and second overall. She wanted the win. Not just because she likes the competition, but because for Egge this was a blessing. “I shouldn’t be here,” she said. A couple of years ago, Egge was in a horrific car crash — not knowing if she would walk again, let alone live. With this race she hopes to build on her dream of going to college on scholarship. She said she will be attending Everett Community College in the fall. “They have a great coach,” she adds. Perhaps with his coaching and her hard work, she said, she will catch the eye of someone at the university level. In the end, to most people at the park, this was a chance to be outside with family. Eric Price-Paul, of the Key Peninsula, brought his four young children to spend half their Saturday here. 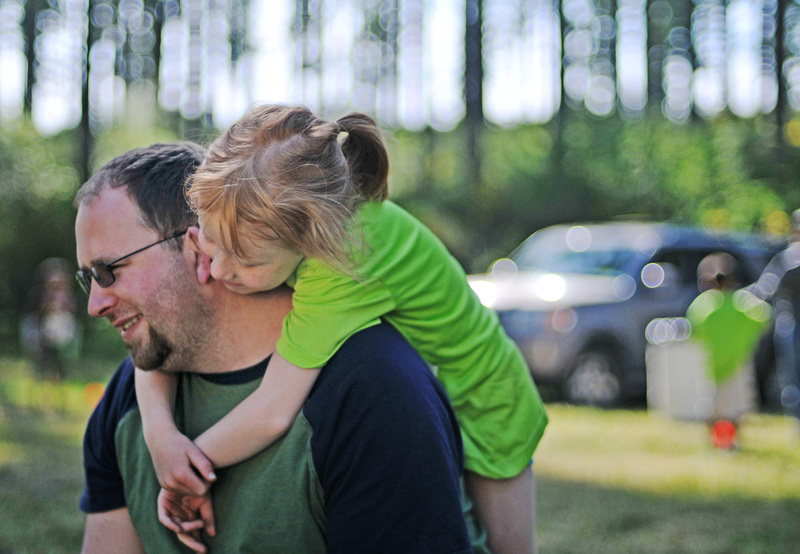 Eric Price-Paul, of the Key Peninsula, enjoying a Saturday with his children at the 360 Trails Park. June 15, 2013 June 19, 2013 1 Comment"fun run", "key pen parks", "key peninsula"
I was looking for blogs about the Key Peninsula to share on our site and I came across your post…If you’re open to it, shoot me an email at jane(at)dwellable(dot)com.